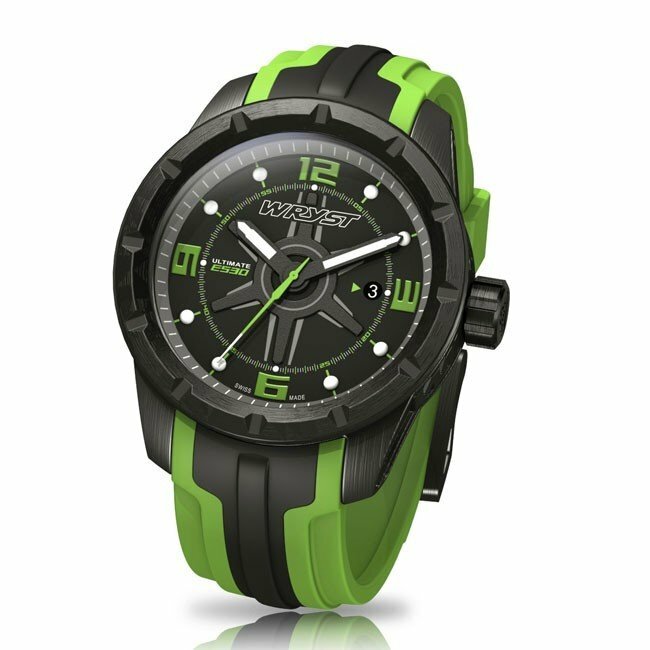 Black Swiss sport watch Wryst Ultimate ES30 with green details on the dial. 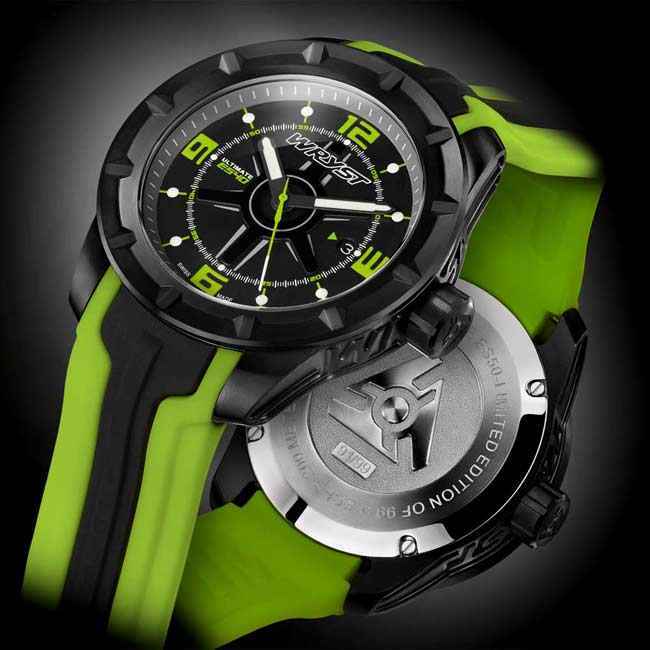 Lowered Sapphire crystal, screw-down crown and 200 meters water resistance are a testimony of dedication to action sports. Be as rough as you want with a safe black DLC scratch-resistant coating. 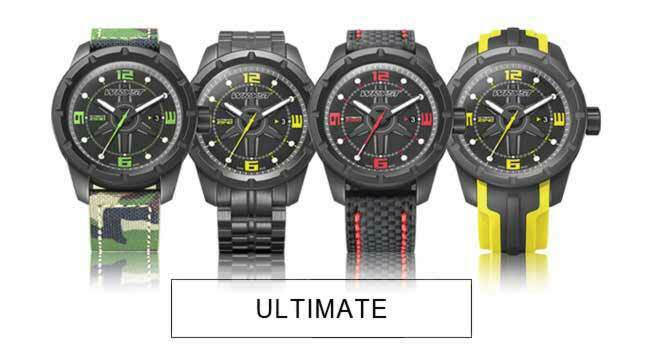 Men will particularly enjoy the 45 mm timepiece during water sports, outdoors and while on the go. Two different bracelets included for versatility. 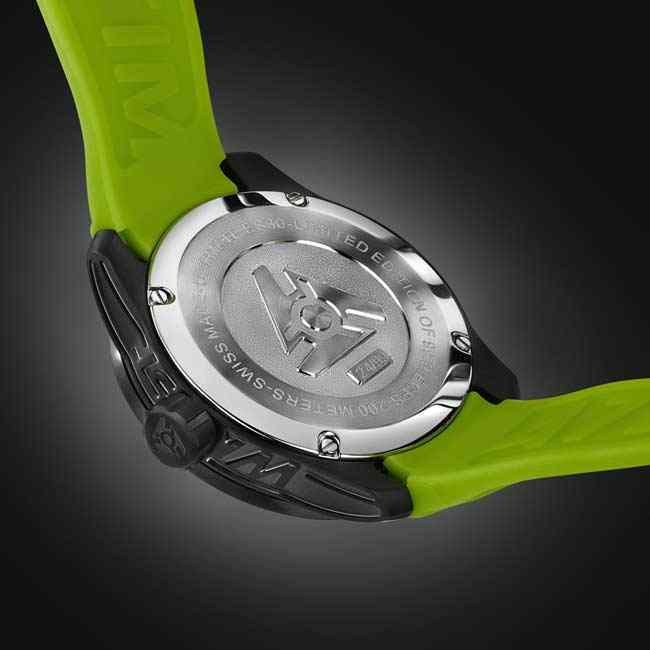 All Wryst black Swiss sport watches are produced in limited edition of only 99 serial numbers making each timepiece totally unique. 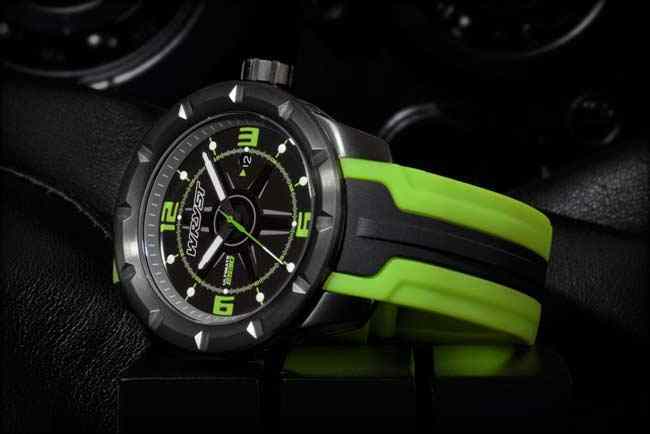 The black Swiss sport watch Wryst Ultimate ES30. 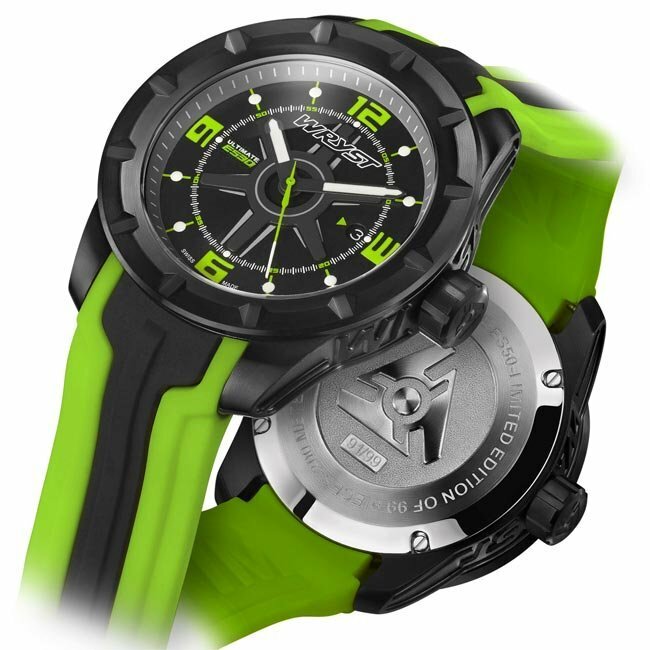 With green accents on the dial and a green bracelet, this exclusive sports watch is resistant, bold and produced only in limited series. Available in small quantities of 99 pieces, the watch case sides are engraved 0.6 mm deep with CNC machining which is a significant challenge in itself. Grade 316L stainless steel crafted case, screw-down crown and buckle are coated with scratch-resistant Black DLC (Diamond-Like Carbon) technology which increase the durability of the watch. 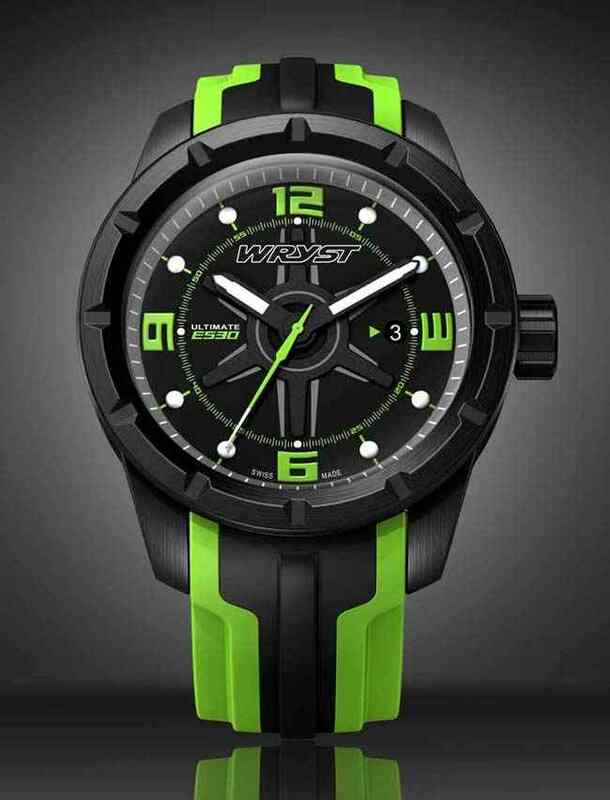 Wryst thrives to provide affordable luxury Swiss watches for sports combining high standards of know-how, craftsmanship and unprecedented value for money. All timepieces are engraved with a unique serial number on the case back.